The Millennium Commission’s £5m refurbishment of c13th Muncaster Castle in West Cumbria demanded a potent mix of all our PR, event management and media relations expertise. The Jools Payne Partnership dovetailed a four-day press trip for key journalists and influential opinion-formers with an exciting re-launch event to expose Muncaster’s VIP audience to all elements of the new Muncaster Castle experience. The launch party and press trip resulted in a raft of quality feature articles across national, tourism trade press, specialist titles and mainstream consumer press and broadcast media. 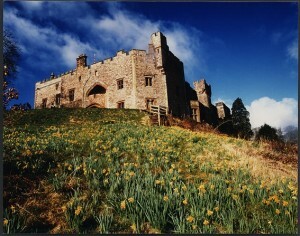 Our creative thinking and attention to detail positioned Muncaster Castle as one of the UKs premier destinations and helped the attraction win the coveted Cumbria ‘Tourist Attraction of the Year Award’ 2000.